Mary L Boas wrote Mathematical Methods in the Physical Sciences; used copies can now be purchased for discounted prices in our marketplace. Published in 2005 by John Wiley and Sons Inc, this textbook is the third edition and provides you with new material to read. Buy Mathematical Methods in the Physical Sciences online now and get discounted prices thanks to our policy of selling previously owned copies online to American college students. It is worth remembering we also have a buyback service, which means we buy back Mathematical Methods in the Physical Sciences to sell on to other students as well. 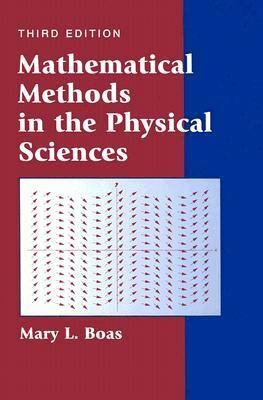 Mary L. Boas is the author of 'Mathematical Methods in the Physical Sciences', published 2005 under ISBN 9780471198260 and ISBN 0471198269. Loading marketplace prices 123 copies from $18.14 How does the rental process work?